Established back in 2001 and growing to one of the largest suppliers and manufacturers of mobility scooters and powered wheelchair across the UK to both retail and trade, Monarch Mobility prides itself on what it describes as excellent industry-leading service and word of mouth recommendations. Having gone from strength to strength, the company is launching a new range of products and is keen to speak with retailers in the industry. The Monarch Mobility team will be on hand to meet with all dealers to discuss ways to work closer together to help grow business and build good relations with new retailers. 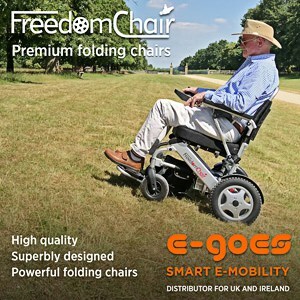 Monarch Mobility says it has been looking forward to the 2019 Naidex Show, with the manufacturer and supplier to both trade and retail showcasing many innovative products that have not yet been seen in this industry, according to the company. These products include its new Atlas4 portable hoist, a new range of folding scooters and a very competitive range of 8mph devices. For dealers looking to inject some new and exciting ranges into their product portfolio, visiting the Monarch Mobility stand this year may prove to be a rewarding and lucrative move.